Norman has been helping people find new direction resulting from challenging experiences since 1985. His early work was in education and publishing with a secondary venture into apparel manufacturing and small business management. His career development experience began in 1986, when he worked with two national outplacement firms, Michael D. McKee and Drake Beam Morin. 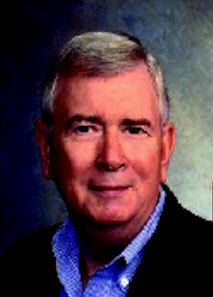 He opened the Austin office of Reedie & Company in 1989 and became President of Reedie-York in 1992. He ran the Houston office of Reedie & Company during 1995 and 1996. Norman's special strength lies in helping executives re-career at mid-life, in intervening to help organizations save valuable executives and in coaching executives to become outstanding performers and effective leaders. He holds a B.S. degree in Education from Texas A&M University and an M.B.A. in Marketing and Organization Development from Boston University. He is a prolific writer and speaker, utilizing every opportunity to educate people to the changing nature of the workplace and the need to plan for long life.